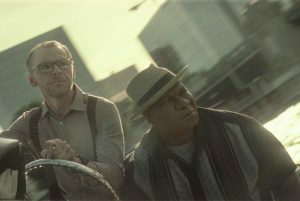 Interview: Ving Rhames Talks Mission:Impossible – Fallout – Spotlight Report "The Best Entertainment Website in Oz"
There aren’t many constants in the spy business. When it comes to saving the world from an endless succession of deadly spies and evil megalomaniacs, the life expectancy of your average IMF agent doesn’t often extend past 40. And yet, here we are meeting Luther Stickell, Ving Rhames’ brilliant, deadpan, cool-as-a-cucumber co-worker to Tom Cruise’s Ethan Hunt who, along with Mission: Impossible’s leading man, has been the franchise’s only constant for 22 years. You’ve been on this crazy ride since the very start. What’s been your favourite ever moment on a Mission: Impossible set? It was on this one. Chris McQuarrie wrote a scene where I really get to show how Luther feels about Ethan. It takes into account all the time the two of them have been together. And it’s pretty emotional and powerful. When you first started out, did you ever think you’d be making these movies 22 years down the line? I feel very blessed to have been involved for so long. Especially because originally my character died in the first 10 or 12 pages of Mission: Impossible. I said to Tom and [original director] Brian De Palma, ‘Why does the black man have to die in the first 10 pages of most movies? You know, normally there’s only one black guy in each of these huge-budget films. There aren’t too many – quote-unquote – African-American films that are going to be over 100 million dollars. And when there are some, I can’t even say it’s a Denzel… It’s a Will Smith, basically. You’ll have Will Smith, and he’ll be damn near the only black guy in the film. He’s the star, but it’s not a black storyline, he may not even have a family in it…’ So, Tom and Brian obviously thought about that, because then I noticed that my character didn’t die. A lot of things happen and I’m always appreciative, you know? I’ve had the opportunity to work with one of the biggest movie stars in the history of the world, and he’s still going strong. Where do you feel the industry is when it comes to diversity now? I’m very fortunate. How many African-American actors have been part of a franchise like this? Maybe the guys on Fast and Furious, Ludacris and Tyrese… Maybe Danny Glover with Lethal Weapon. But most, really never. Now there’s all the Marvel stuff, so now you have it. But in the history of cinema, I would say there’s probably less than 10 actors of African descent who are in franchise projects, and very few that have made six of them. In Ocean’s 11 you had – God bless him – Bernie Mac, and Don Cheadle. But they didn’t do six of them. You get my point? This is pretty rare. Where did you and Tom first meet? Fallout is a big ensemble. How do you guys all work together? I equate it to an orchestra. I’m the bass section, so and so is the tenor and so and so is the alto, and then we create a symphony. We’re all very different-looking people, all very different genetically and DNA-wise – our ancestors are all probably from very different countries. It’s interesting. It adds an element that I don’t see enough in life. As a general rule in life, people of certain economic classes hang out with each other in the same neighbourhood. 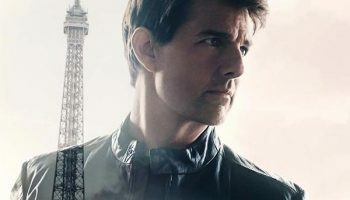 Life’s not normally as diverse as what you’ll see in Mission: Impossible. You know, I’m from Harlem, New York. Born in Harlem Hospital. For me to be with one of the number one movie stars in the world… My mother, thank God, she’s 90 years old and I don’t think she ever dreamt that Ving would be working with Tom Cruise, and Superman. 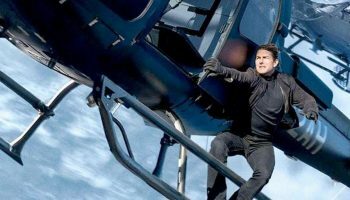 Mission: Impossible – Fallout – In cinemas now!